Here we provided the detailed information of UPSSSC Tubewell Mistry Recruitment 2016. Before you begin to apply once go through the UPSSSC Nalkoop Mistry Notification which is available below. Therefore for further information about this recruitment, i.e., about Age Limit, Educational Qualification, Selection Process, Application fee, Pay scale details are briefly given below. 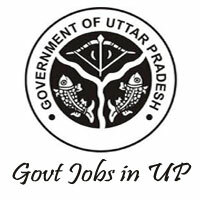 Check for Other Government Jobs of Uttar Pradesh state in Latest Govt Jobs page of recruitment.guru. By this, you can get all latest updates on UP State Govt jobs. So, check UPSSSC Nalkoop Mistry Jobs Notification details. The candidates can get all the Latest News about UP State Govt and Central Govt jobs in Employment News page of recruitment.guru website. Below provided are details about the UPSSSC Tubewell Mistry Jobs hiring procedure. The applicants need to check the Vacancy details given UPSSSC Nalkoop Mistry Notification because it will help while filling the application form. So, Check Nalkoop vacancy details given below. Aspirants should have below provided age requirements to attain UPSSSC Jobs. Age Relaxation is applicable as per the rules of the Uttar Pradesh Government. Must complete 10th Class with ITI along with five years experience. Candidates have to apply pay the Application fee for UPSSSC Nalkoop Chalak Recruitment 2016 through SBI e-collect or e-challan. Physically Handicapped: Rs 65/- for UPSSSC Nalkoop Mistry Jobs. The applicants who participated for UPSSSC Nalkoop Mistry Recruitment will undergo selection based on their performance in the following process. Interview/ Screening Test & Interview. The individuals who got recruited in UPSSSC Tubewell Mistry jobs will get the salary of Rs 5,200/- to 20,200/- with Grade Pay of 2,400/- per month. The UPSSSC Tubewell Mistry Jobs Online Application form is available on our site attached below. Open the UPSSSC Nalkoop Mistry Jobs Online Form from the given link and submit it before the last date. Directly open the Notification and Online apply link provided below. Read carefully the Instructions & Requirements mentioned in UPPSC Notification for Tubewell Mistry Jobs. Fill the form with relevant information. Click on generate e-challan and make fee payment. Starting date for filling online application: 06/10/2016. Closing date for Submission of online application: 28/10/2016. Last Date for Payment of Application Fee: 26/10/2016. To Apply Online for UPSSSC Tubewell Mistry Jobs, Click below link. UPSSSC Nalkoop Chalak Recruitment 2016 Notification has recently released in the month of July 2016. Uttar Pradesh Subordinate Services Selection Commission has published this advertisement under the advt no. 15(3)/ 2016 to fill 3210 vacancies of Nalkoop Chalak (Tubewell Operator) Posts in Irrigation Department. Aspirants who were searching for Government Jobs in Uttar Pradesh may apply for these UPSSSC Nalkoop Chalak Jobs released under UP Nalkoop Chalak Recruitment 2016. Interested and Eligible Candidates can apply to these UPSSSC Jobs through UPSSSC Tubewell Operator Recruitment 2016. Applicants can also check the official website upsssc.gov.in for more details regarding the UPSSSC Recruitment 2016. The Detailed UPSSSC Nalkoop Chalak Notification is available below. The UPSSSC Tubewell Operator Online application will be available from 08th July 2016 to 30th July 2016. Other details like UPSSSC Vacancy details, Educational Qualification, Age limit, etc. regarding UPSSSC Tubewell Operator Jobs are mentioned below. Name of the Post: Nalkoop Chalak (Tubewell Operator). Candidates who wish to apply for UPSSSC Jobs have to attain the below age limit as on 01.07.2016. Applicants must complete 10th Class with ITI in Fitter, Electrician, Turner, Mechanic, Machinist, Bearing Technician and Other Trades from recognized Institute. Post Name: Nalkoop Chalak (Tubewell Operator) Posts. No of Vacancies: 3210 Posts. Selection Process: Aspirants who were applying for UPSSSC Nalkoop Chalak Jobs will be selected based on their performance in the following process. Interview or Screening Test and Interview. Starting date for filling online application: 08/07/2016. Closing date for Submission of online application: 30/07/2016. Last Date for Payment of Application Fee: 28/07/2016. Application Fee: Candidates who wish to apply for UPSSSC Nalkoop Chalak Recruitment 2016 have to pay the Application fee through SBI e-collect or e-challan. The Fee varies for different categories which are available below. For Physically Handicapped: Rs 65/-. Pay Scale: Rs 5,200/- to 20,200/- with Grade Pay of 1,900/- per month. Read carefully the notification before applying online for UPSSSC Nalkoop Chalak Recruitment 2016. To Apply Online for UPSSSC Jobs, Click below link. After the completion of hiring process by Uttar Pradesh Subordinate Services Selection Commission, UPSSSC Nalkoop Chalak Jobs Results will be out. We provide the complete details regarding the UPSSSC Tubewell Operator Recruitment 2016 results on our site. You can also check the official website upsssc.gov.in for more details regarding the results of UPSSSC Nalkoop Chalak Recruitment 2016. Visit our site regularly for more latest updates regarding the UPSSSC Tubewell Operator Jobs. Hi, sir up tubell operator(4210) ka interview ka date confurm kr dijiye sir. sir kya bata sakte hai haw meany applied for the post of tubewell operator ? Sir mane I.T.I Fitter trade se ki hai. Exam syllabus ke bate me batay. Exam 60 Number ka hoga. Agar Exam hoga toh kripya Exam pattern kya hoga? I am job in diploma in electrical engg. I want job in up gov. Sir selection interview par hoga ki paper bhi.